In a judgment released yesterday a Divisional Court unanimously struck down the government’s attempt to introduce a residence test for eligibility for legal aid, finding it incompatible with the objective of the Legal Aid, Sentencing and Punishment of Offenders Act (‘LASPO’). The ratio of the judgment was that the residence test had been introduced via an amendment to the schedule in the Act (that is, via subsidiary legislation) that was not compatible with the objective of the primary legislation. While that sounds like a rather technical decision, it has important ramifications for democratic accountability. It means, in essence, that if the government wants to make such a drastic change as this, it will need to do so via an amendment to the Act itself, with the full Parliamentary debate that that would entail. The case is also interesting because of the two rights-based grounds that were argued before it. The first, that the introduction of a residence requirement violated the fundamental right of access to a court, the court declined to engage with. The second was that residence was not a lawful ground for discriminating in the provision of legal aid between equally meritorious claims. The court accepted this claim, but apparently in obiter dicta, since only the statutory construction point was strictly required to reach the outcome. Lord Justice Moses (with whom Mr Justice Collins and Mr Justice Jay agreed) held that the introduction of a residence requirement as an amendment to Schedule 1 of LASPO was ultra vires because it was not compatible with the Act. The court identified the objective of the primary legislation as being to provide legal aid to those with the greatest need. The amendment, in contrast, had ‘nothing to do with need or an order of priority of need. It is, entirely, focused on reducing the cost of legal aid’ . This violated the principle that subsidiary legislation must ‘serve and promote the object of the statute’ . This is important because secondary legislation does not face the same degree of scrutiny in the Parliament as does primary legislation. While primary legislation needs to be approved by a majority of votes in both Houses of Parliament, and receive Royal Assent by the Queen, secondary legislation can be either negative or affirmative. If the former, the instrument becomes law without a debate or vote but can be annulled by a contrary resolution in the Parliament. If the latter, both Houses of Parliament must expressly approve them. The respondent government had argued that, since this amendment took the form of an affirmative instrument, it had received the imprimatur of the Parliament. Notwithstanding that, the Divisional Court found that was not enough because, ‘on a true construction of the statutory powers in their context, no power to introduce such a measure can be found’ . The court’s ruling reaffirms the constitutional principle that the government cannot use the means of subordinate legislation as a ‘statutory back door’  to ‘widen the purposes’ of legislation that has been passed by the Parliament . Changes this big need to be brought through the front door. The residence requirement, if upheld, would have limited legal aid to those who could demonstrate ‘a meaningful connection with the UK’, unless they could demonstrate eligibility elsewhere in the legislation. Yesterday’s judgment does not foreclose the possibility of that restriction being introduced in the future. But the Court’s intervention puts the onus on the Parliament to consider and evaluate the purpose of legal aid in the UK and the objectives that LASPO aims to serve. If the legal aid is to be subjected to the pursuit of goals other than giving help to those in greatest need, then those objectives need Parliamentary approval in the form of primary legislation. It remains to be seen whether the government will appeal the court’s decision, or introduce amended legislation to the Parliament. Either way, the judgment has forced a fuller engagement with the question of the purpose that the provision of legal aid serves in England and Wales. This is democratic dialogue—and a culture of justification—in action. The questions that the court did not decide may be almost as important as the questions that it did decide. The Public Law Project had also argued that the power contended for by the Lord Chancellor would violate the fundamental right of access to a court. But Moses LJ declined to engage with this argument, stressing that his reasoning was ‘confined to the construction of the powers that [the statute] confers’ . In another passage, however, His Honour hinted at the problems that might arise in future, saying that ‘it might have been possible to draft primary legislation (I say nothing about its legality) which has the broader ambition of cutting the cost of legal aid by permitting the Lord Chancellor to adopt criteria irrespective of need…’ . This foreshadows a debate which is highly likely to arise in any future legal proceedings. The Divisional Court might be engaging in a spot of careful judicial diplomacy here. At a time when tensions are running high over the UK’s future in the European Convention system, it may not come as a surprise that the judgment turned on a narrow question of statutory construction rather than the implications of the measure for the Article 6 ECHR right of access to a court. Moreover, throughout the judgment Moses LJ referred obliquely to ‘vindicating rights’  or ‘fundamental rights’ , , preferring to avoid specific reference to Convention rights or Convention case law. In this language choice, was the Court cleverly hinting here that the right of access to a court is no less entrenched in English and Welsh common law than in ECHR jurisprudence? Interestingly, having reached a decision that turned on a question of statutory interpretation, and then having declined to deal with the argument based on access to justice, the Divisional Court went on to consider a third argument raised by the applicant. The judgment went on to hold that residence would not be a lawful ground for discriminating between the provision of legal aid in equally meritorious cases. This part of the judgment will no doubt provide fertile ground for equality lawyers, and has been discussed at length here and here. Rather confusingly, given that it does not appear to be part of the ratio, Moses LJ described the discrimination argument as the applicant’s ‘essential complaint’ . The discussion of residence as a basis for distinguishing between worthy claimants builds on (without expressly citing) the House of Lords decision in the Belmarsh case, striking down detention of foreign nationals on the basis that the measure was not rationally tailored to the objective. What appellate courts will make of this judgment, and how the government will respond, remains to be seen. 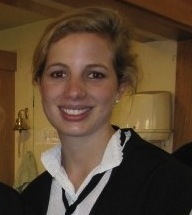 Natasha Simonsen is a Stipendiary Lecturer in Law at St Anne’s College, Oxford . (Suggested citation: N. Simonsen, ‘Government cannot use a ‘statutory back door’ to implement major changes to legal aid services, Divisional Court says’ U.K. Const. L. Blog (17th July 2014) (available at https://ukconstitutionallaw.org/). I can see where the Divisional Court is coming from but I wonder if the intended purpose of legal aid was ever to grant it to non-residents. I have my doubts. LA is funded by taxpayers in the UK and should only be available to those who have paid tax, in whatever form, in the UK for a specified period. Twelve months does not seem unreasonable. Moses LJ’s argument seems a bit disingenuous. Even assuming that the court has correctly identified the objective of LASPO as ‘[providing] fair and effective legal aid to those clients most in need’, the amendment does not ‘widen’ the objective in any substantively meaningful way. It did not contend, for example, that clients who were not most in need would be able to receive legal aid before those who were. Instead, the amendment may be construed simply as a clarification of what ‘most in need’ actually means. Moses LJ seems to take as a given that this criterion necessarily precludes a residency test, though he does not offer any alternative test which may coherently triage need among cases (besides appealing to visceral sympathy by invoking tragic cases such as that of P). On the other hand, the MoJ’s description of LASPO at  as ‘targeting legal aid at the most serious cases which have sufficient priority to justify the use of public funds’ raises the possibility that there may be a link between the residency test and justification of the use of public funds. If this is the case, then no further objective had been introduced via a ‘statutory back door’ by the amendment, in which case it cannot be found ultra vires on that basis. This entry was posted on July 17, 2014 by Constitutional Law Group in Judicial review and tagged dialogue, Judicial Review, Legal Aid, statutory interpretation.